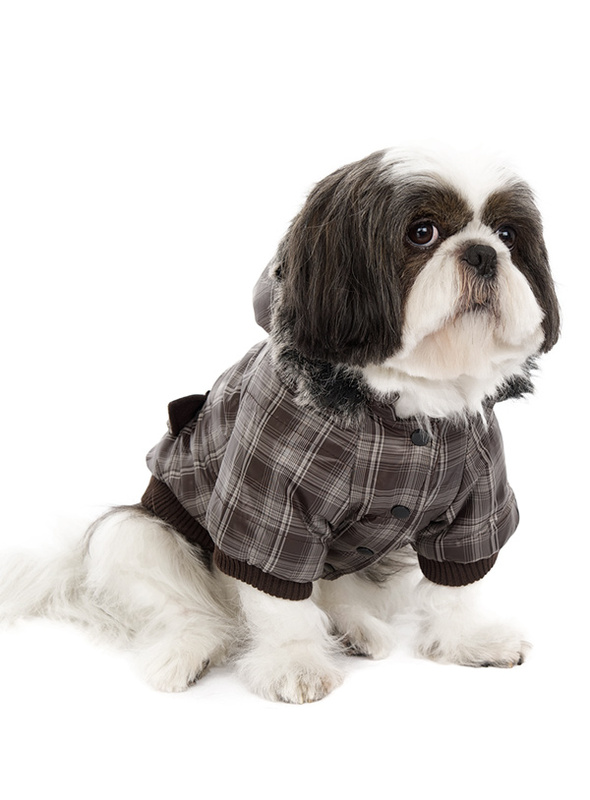 Another coat from our premium range of quilted coats. This is a luxuriously parka coat with a fur trimmed detachable hood. 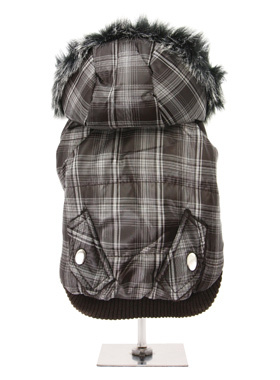 It gives your dog two styles in one; wear it as a parka or, when the hood is removed, it can be worn as a coat. The arms and hem are elasticated for a great fit. 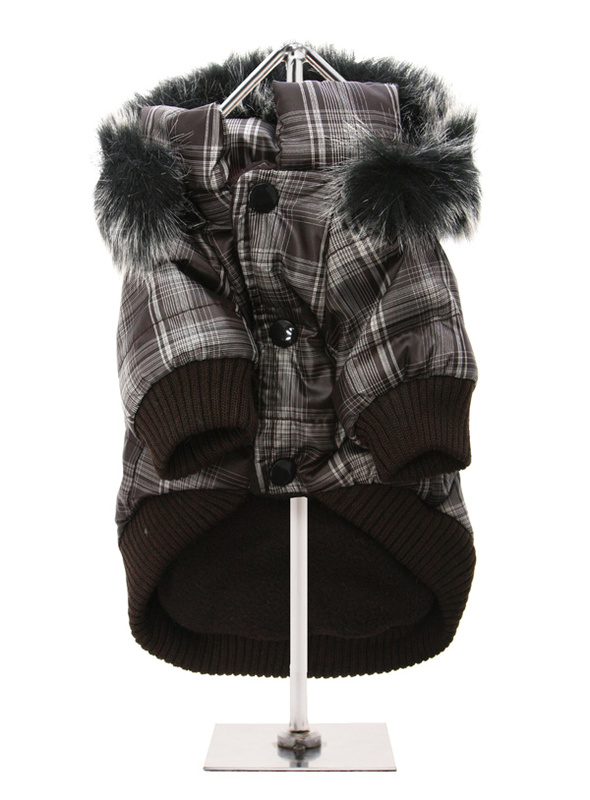 It fastens from the underside with three pop-on pop-off chrome buttons and the inside is lined with a dark brown fleece material. There are two faux pockets on the back to finish the look.